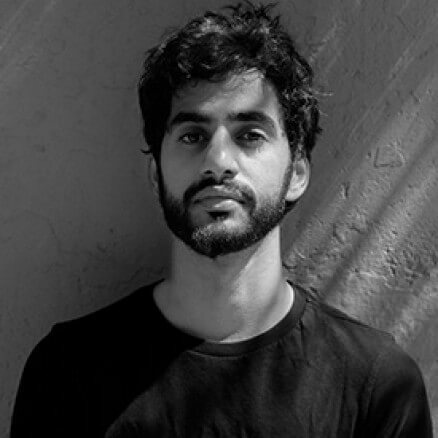 Kumail Hamid is a young music producer, who has been experimenting with music that can only be classified under the ambiguous label of “electronic music”. His music boldly pushes the level of experimentation of the current “scene” beyond its club friendly confines, exploring the more ethereal regions of sound. Heavily manipulated live recordings coupled with atmospheric synths and meticulously panned rhythm sections form the fundamental characteristics of his music. His live act ranges from ambient soundscapes to his more recent, Hip-Hop influenced beats. So far, Kumail has released two well received EP’s and his most recent, very colourful full length album titled ‘Links’. His set of influences range from the likes of Eskmo, Nicolas Jaar, Mount Kimbie, Shlohmo, Shigeto and a lot of new age Hip-Hop which is perfectly evident in his well-known for DJ sets that portray a whole other side of his personality, adept to pack a dance floor.